A new trailer for the film comes out tomorrow! We'll post it here as soon as we can. Meanwhile, here is a new image of Michael as the android David checking out something mysterious. 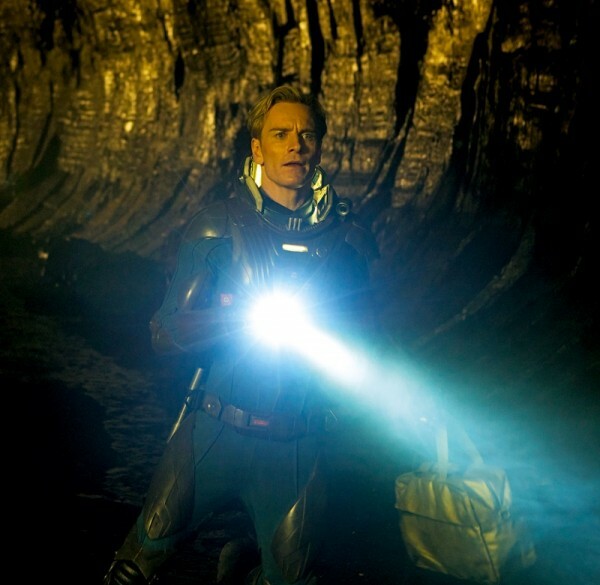 I have a fear that blond Fassbender is going to look 'too perfect' in this role. I hope we get to hear him speak in the new trailer. And your votes counted yesterday, Michael won the Tres Sugar poll as Favorite Single Celeb. ﻿It's fun and silly, but still, he won and beat out Timberlake and Gosling.